Where is my "copied" text? When you use the copy with cite function, you will see a message in the lower left corner of your screen that says "Copied". This means the text is now being stored on your computer's clipboard, and is ready to be pasted. Where do I paste the content? Common use cases include pasting the quote/citation in your draft or wherever you are typing your notes -- this could be in Microsoft Word, Google Docs, WordPerfect, or even an email draft. How do I paste the content? Place your cursor where you want to paste the content. You can use keyboard shortcuts or your mouse to paste content that has been copied to your clipboard. Can I copy multiple passages at a time and then paste them all together? 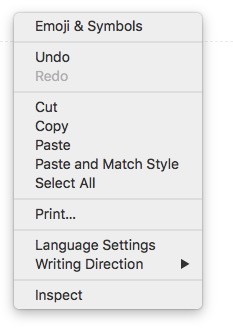 No, the clipboard can only store one item at a time, so if you find multiple passages you want to save, you will need to copy one, then paste it, then copy the next, then paste that.